Art @ 830 is a most unique Key West Art gallery taking it's name "830" from its' street address on Caroline Street. Art @ 830 is the dream come true for Christine Scarsella and Tony Gregory, both long time Key West residents and artists. Featuring objects of art made from hand blown glass, carved wood, oil and acrylic paintings and custom made jewelry, Art @ 830 features creations made from artists located throughout the world. 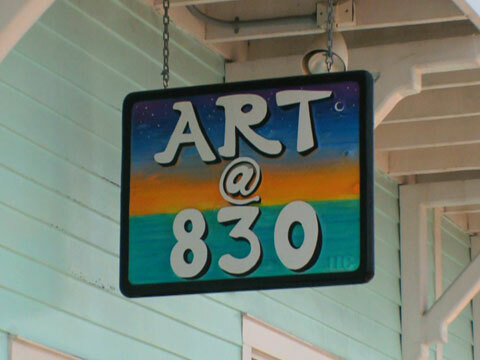 Art @ 830 is a must see for anyone visiting Key West for the first time or visitors with an eye for art and an appreciation for the passion of those who collect it.